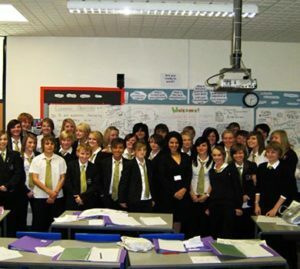 Inspired by watching Kavita's appearance on the Secret Millionaire programme, Suzie Day, head of English at the South Elmsall college said; "We watched the show together and I thought inviting Kavita into college would inspire students and make them think about their own situations". Kavita addressed an enthusiastic audience of year 10 and post 16 business and economics students. "It's very rewarding to be a role model. I'm very passionate about education and youngsters being able to aspire to better things." Bethany Nicholls, 14, said: "I learned not to take everything in life for granted and not to stereotype people. People who are already in your life can be role models."